Donor attrition has always been a problem in mass fundraising, where personal touches are difficult and the ability to communicate impact is limited. Now, widespread personal losses in recent years and the failure of institutions of all kinds to prove trust-worthy have produced a dangerous culture of mistrust. One consequence: the relationships that nonprofits rely on to sustain programming and to keep fundraising costs down are in short supply. 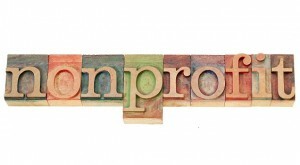 Since the devastating impact of the recession in 2008 and 2009, charities have found ways to raise funds from new sources, and have--as a whole--managed a few percentage points of growth in 2010 and 2011. Fundraisers have done their job. The problem: although ability to find new donors has kept most organizations afloat since 2009, the number of existing donors who have stopped giving has increased even more. Put another way, organizations have been able to get first dates, but the number of ongoing relationships is in a tail spin. In 2011, for every 100 new donors to organizations, 107 people ended the relationship. Over the last five years, the addition of new donors gained has remained strong, annually in the mid to high 50% level. But the number of people abandoning the relationship has been higher, or at best about the same number. Organizations are stagnating, not because they don’t know how to present their mission and attract donors, but because they can’t maintain the relationships. As never before, it is vital that organizations focus more attention on aligning all related groups—board, leadership, staff, volunteers, program partners, members, recipients, and yes, donors—around robustly communicated vision, mission, and core values. In addition, organizations must drill deep into the principles of developing and maintaining community, a fellowship, ‘small platoons’ around common causes. For there is nothing more costly to an organization than a broken relationship. Are values an acquired taste? Values are the ground-zero of decision making. We purchase based on what we value. We sacrifice time, money and resources to have what we value. Values are the heart motivation that cause people to make choices and take action. They are based on beliefs or ideals about what is good or or bad and desirable or undesirable. Values can be lasting and intrinsic, such as the inherent value of life, friendship, community. They can also be secondary, or learned and adaptive values such as wealth, mobility, or fitness. Values inform us in the decisions we make influencing our purchases, attitudes, behaviors. Values can change over time and across a lifetime. For example, the values an adolescent holds may be very different from the values the same person holds as an eighty year old. Intrinsic values, like the preservation of life for example, can also be twisted, impacted by another’s beliefs, behavior and actions. An abusive parent, can twist a child’s perspective of the value of their life, impacting their a natural respect for another. A terrorist may be willing to trade his life and murder others based on a desirable future in an unknown afterlife, all this influenced by another teacher or mentor. Politicians have an ability to project certain values that resonate with others in society, attracting them to their cause. These shared values, generate a shared vision of what could be, driving people to choose and support them. Ultimately, as business leaders we are in the business of serving our customers, helping them choose products and services that bring life and health. Anything other than this is hedonistic, existential and hopeless. As marketers and communicators dedicated to serve our customers, we must focus on understanding both the timeless and changing values of our target audiences. We must focus on how our products and services actually reinforce these life-giving values inherent in everyone. Classic selling of product or service features and benefits is shiny-object selling -- trendy and short-lived. Great companies make a values-to-values connection creating deep engagement, trust, loyalty, and advocacy.